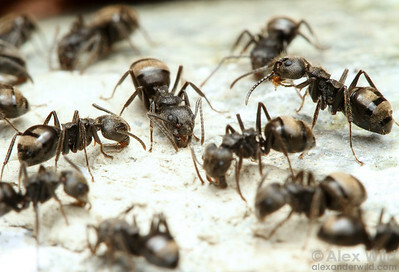 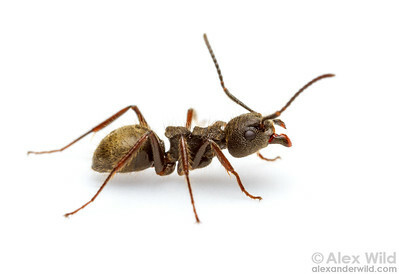 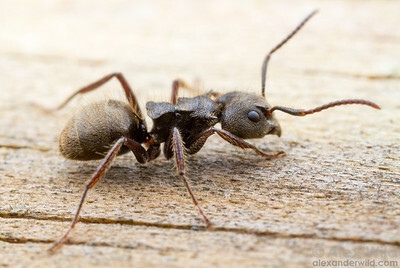 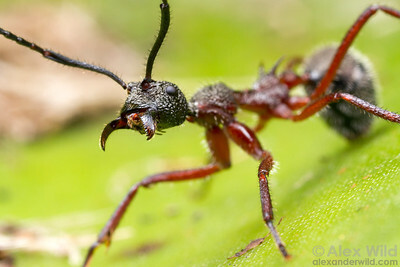 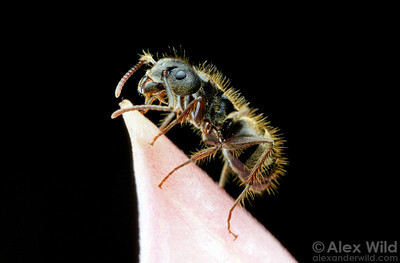 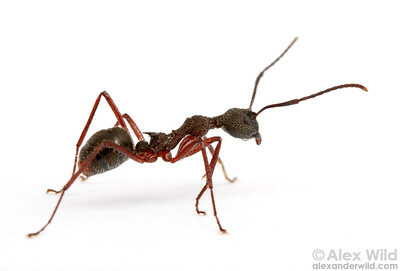 is a diverse genus of heavily-armored dolichoderine ants found worldwide. 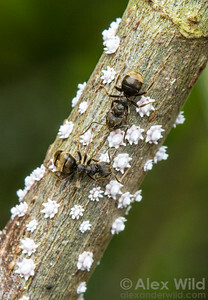 Colonies can be large and are often associated with honeydew-producing insects. 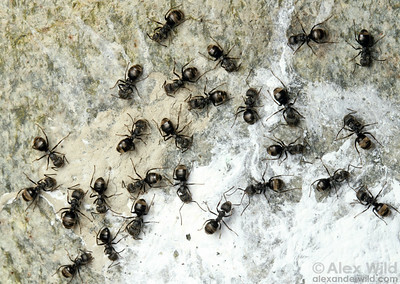 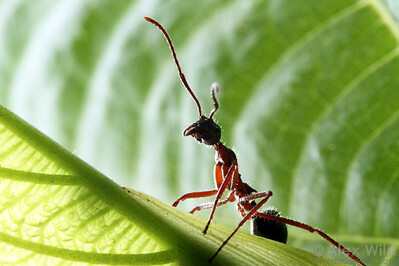 The fate of most insect carcasses in the rainforest is to be consumed by ants. 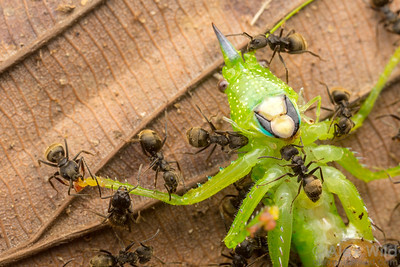 Here, a Dolichoderus colony makes short work of a katydid. 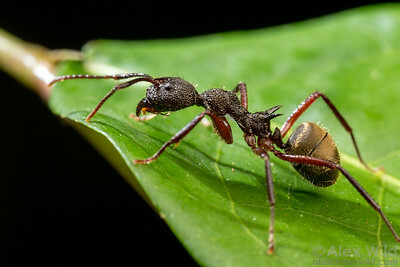 Refugio Amazonas, Tambopata, Peru. 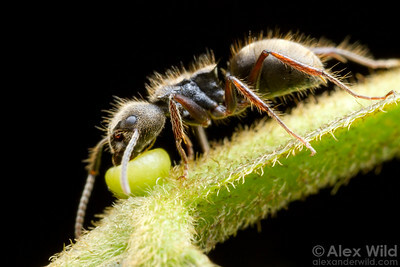 Ants gather honeydew from scale insects. 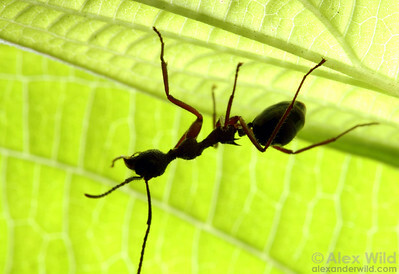 Green Hills Butterfly Ranch, San Antonio, Cayo District, Belize. 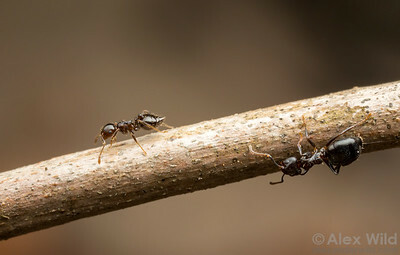 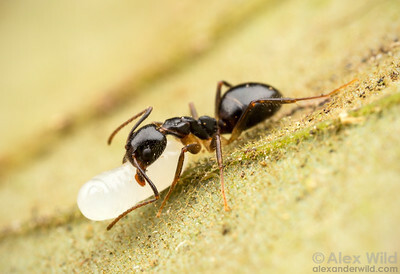 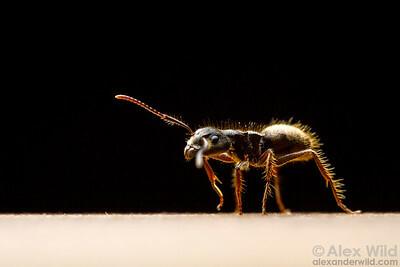 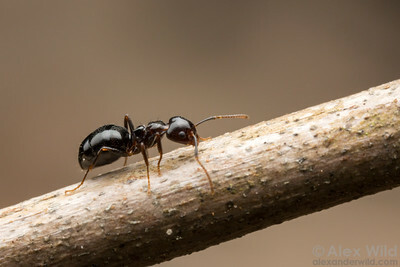 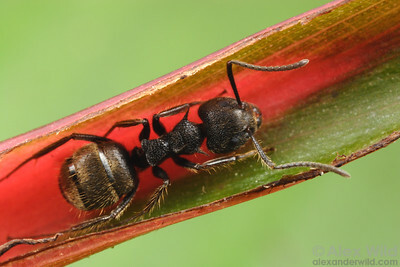 A worker ant carries a larva during a nest emigration. 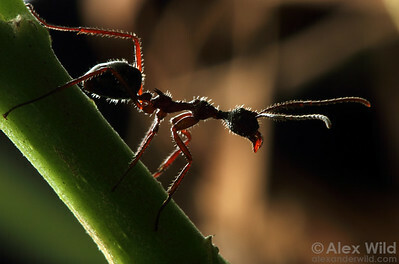 Refugio Amazonas, Tambopata, Peru.